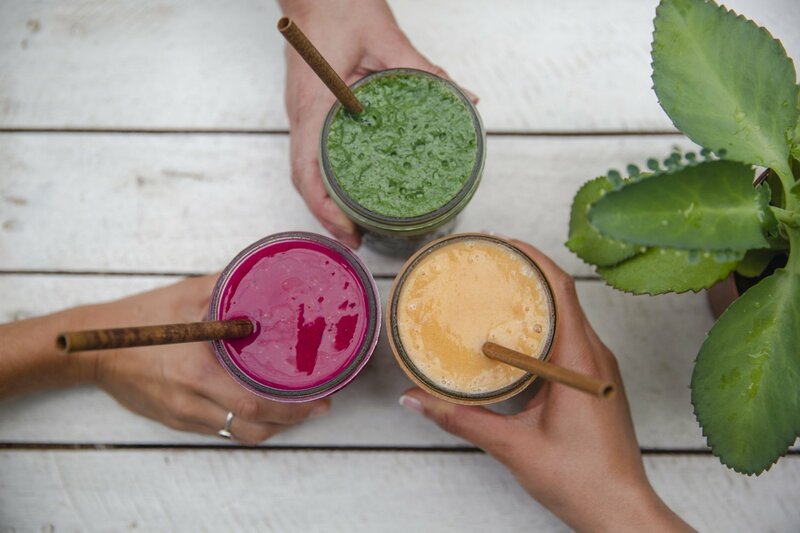 Try out colourful and healthy food and drinks in La Fortuna! 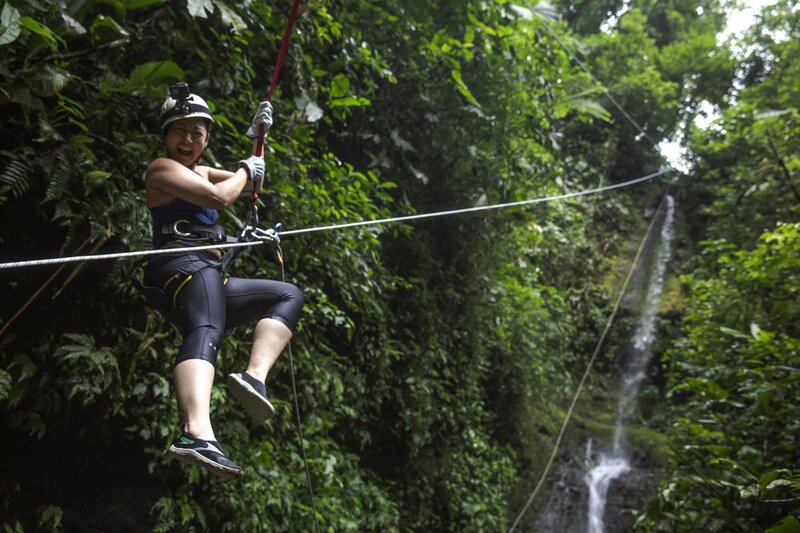 Why not try ziplining in La Fortuna! 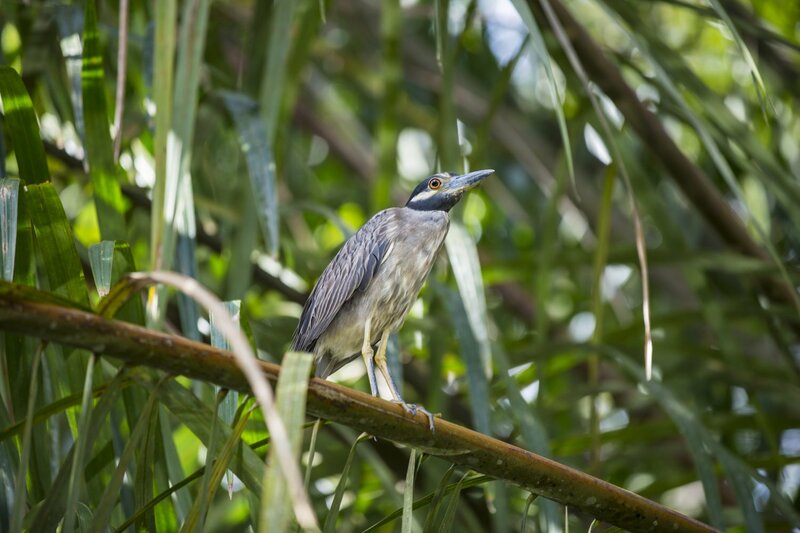 Spot amazing tropical birds in Costa Rica! 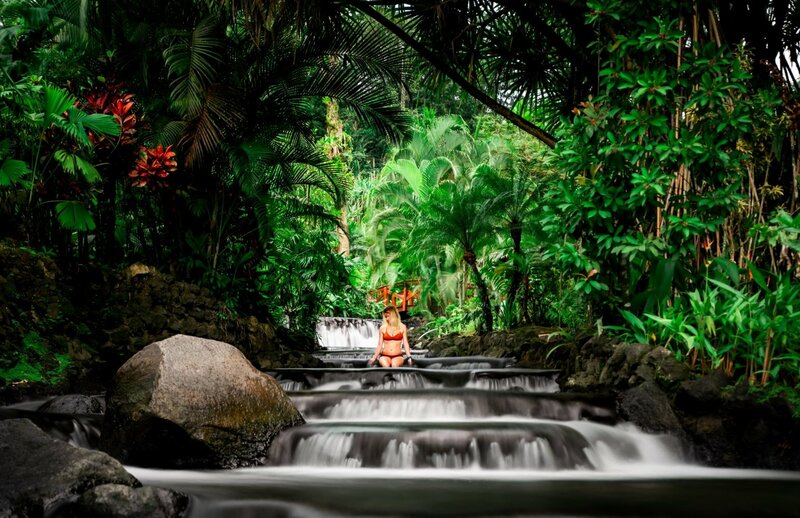 Relax in the amazing waterfalls of Rincon National Park! 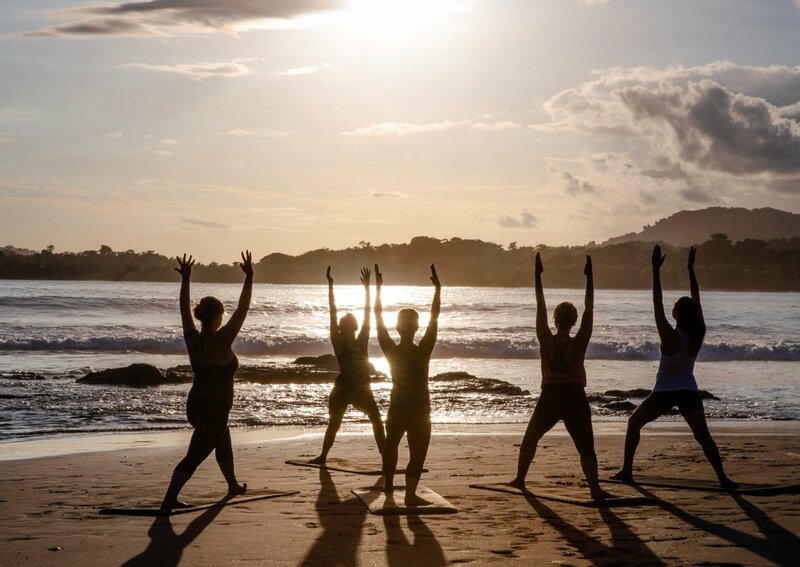 Enjoy the view of Playa Carillo with a yoga session overlooking the beach! 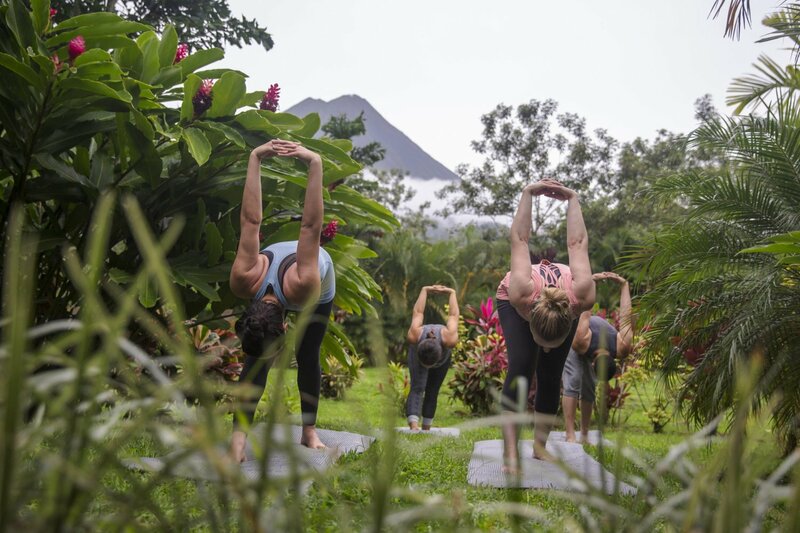 Enjoy a yoga session with your group with spectacular views of Arenal volcano! 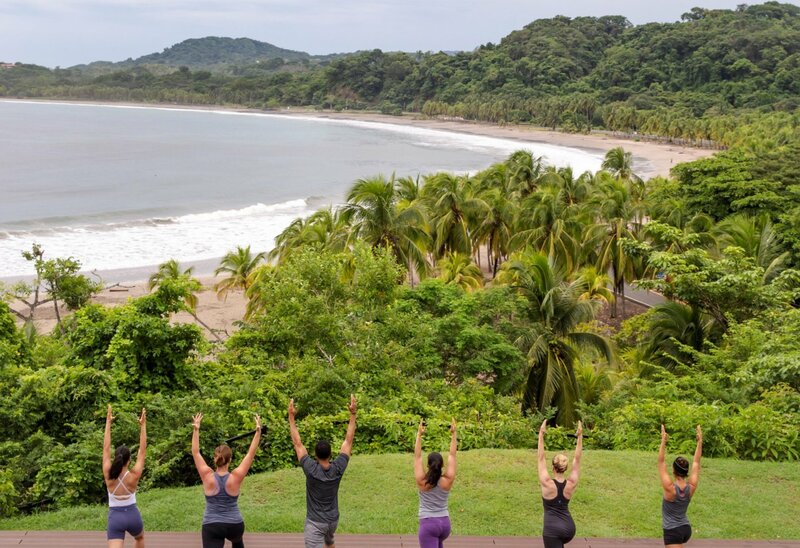 Let your troubles slip away to the Costa Rican coast for a magical 8 day trip. 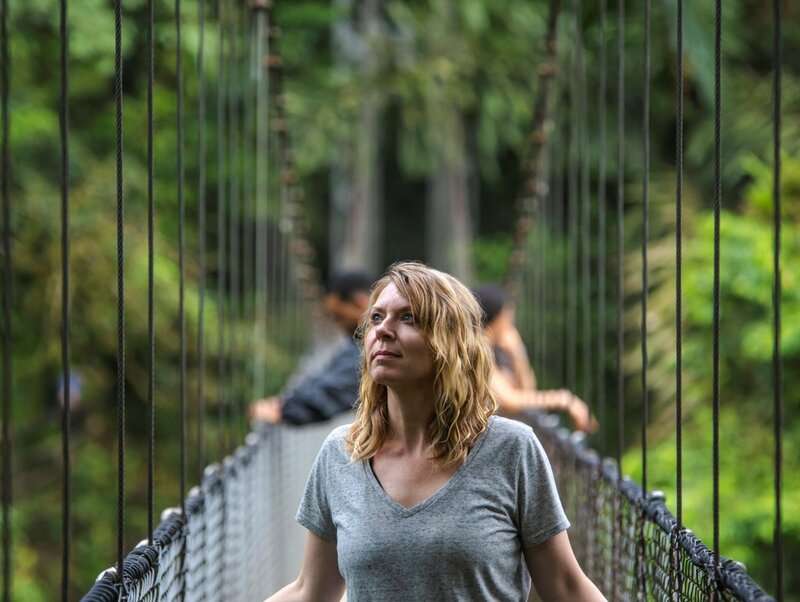 Find contentment amongst serene waters, glistening beaches, a plethora of wildlife and pristine rainforests. 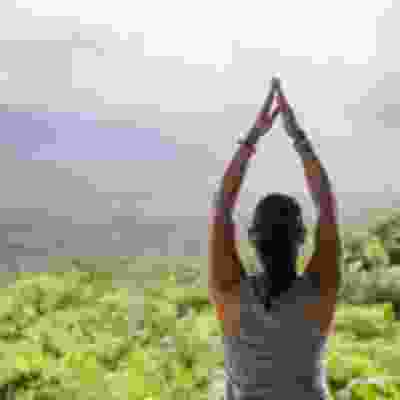 Introduce your inner traveller to your inner self. 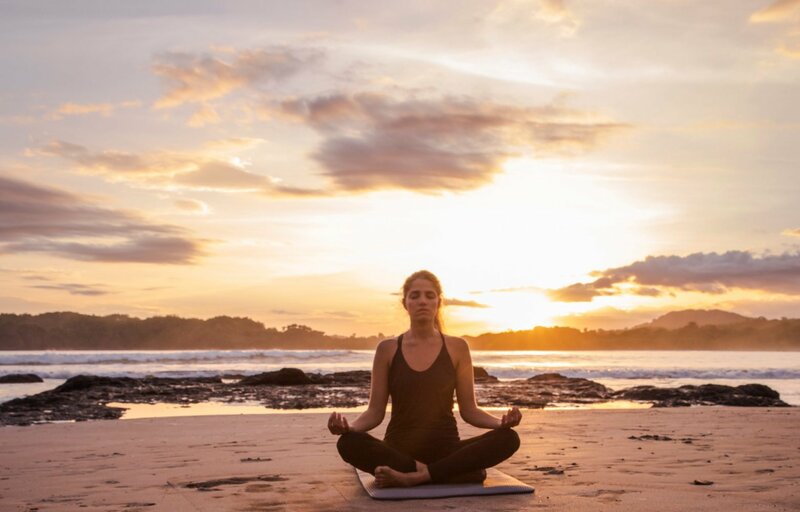 Rejuvenate with yoga on white sands. 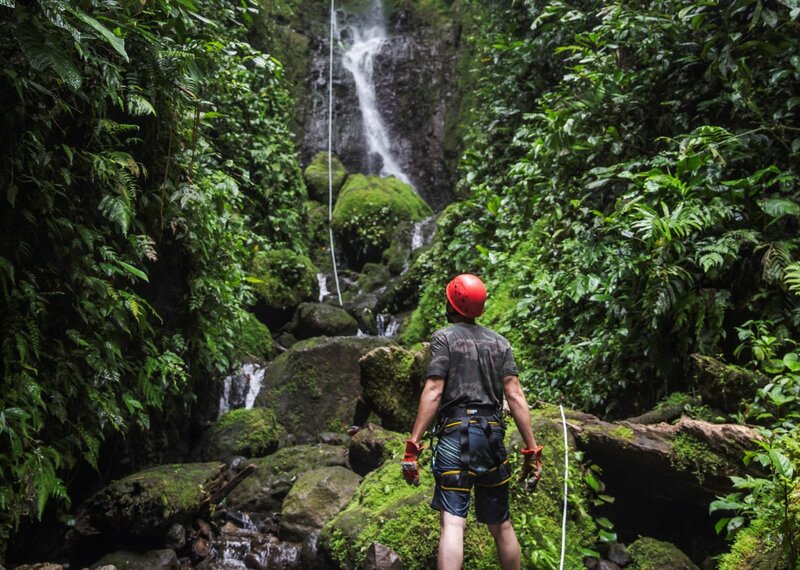 Ride the waves on a surfboard, or go hiking to the Hot Springs. 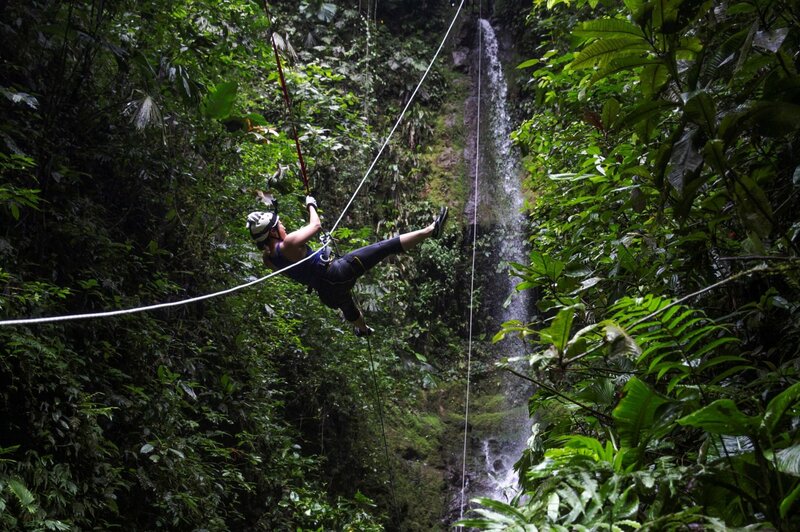 Bring your backpack and an open mind - Costa Rica will show you how it feels to be truly alive. 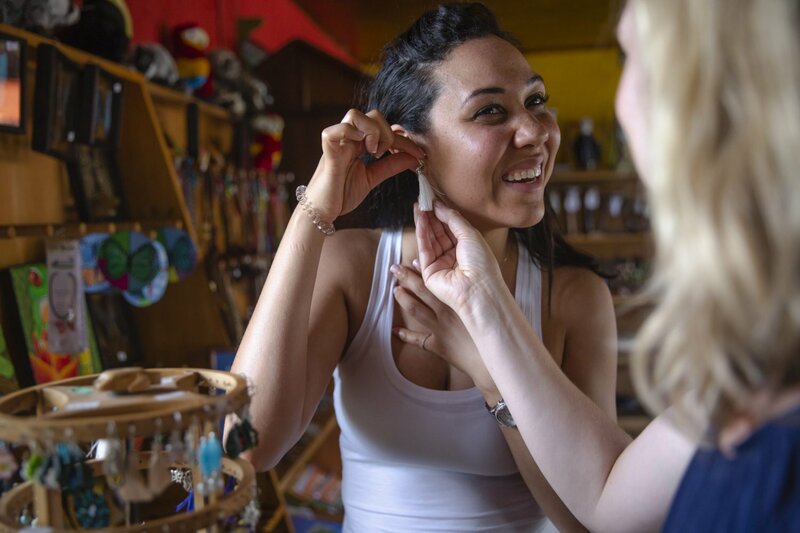 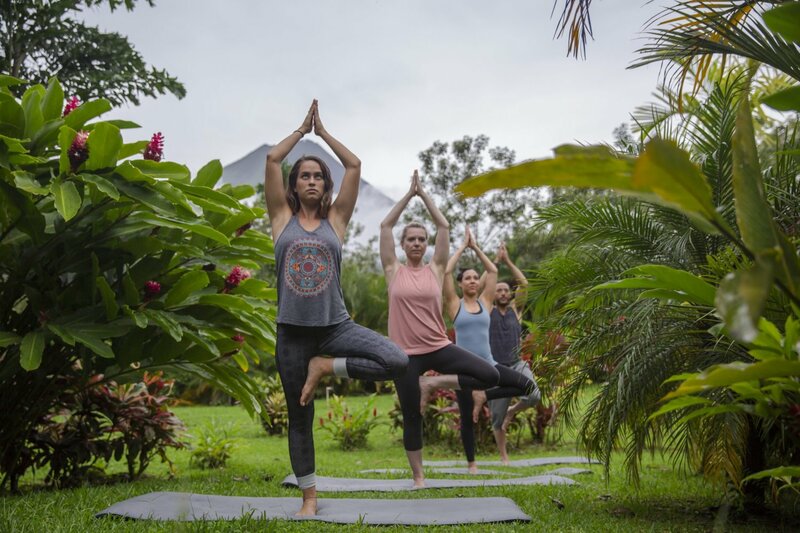 Day 1: Arrive in San José Touch down in the outdoorsy wonderland of Costa Rica, then meet your group for a welcome meeting to begin your wellness journey. 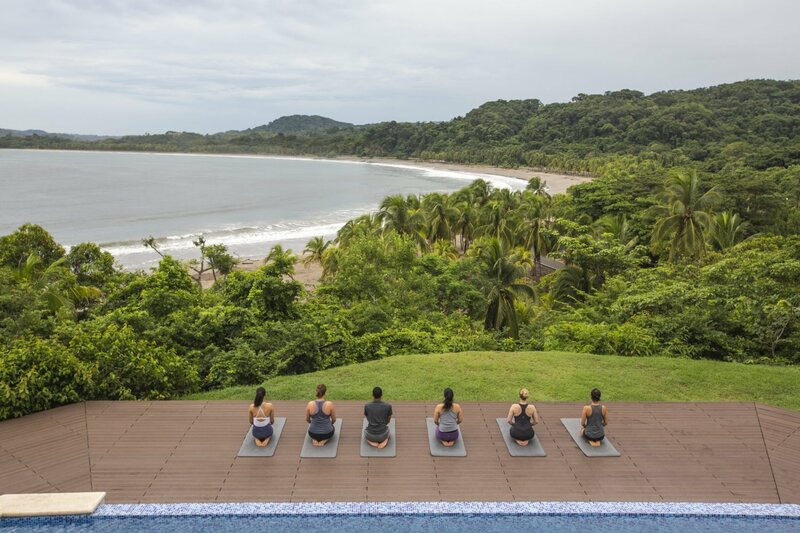 Touch down in the outdoorsy wonderland of Costa Rica, then meet your group for a welcome meeting to begin your wellness journey. 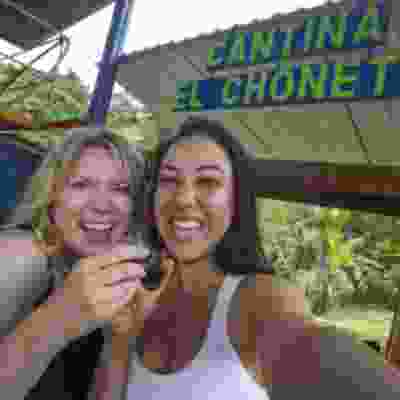 Day 2: La Fortuna Take a coffee break on this unforgettable trip to the Mi Cafecito Community Coffee Tour - you'll even get to sample a fresh and soothing cup of java. 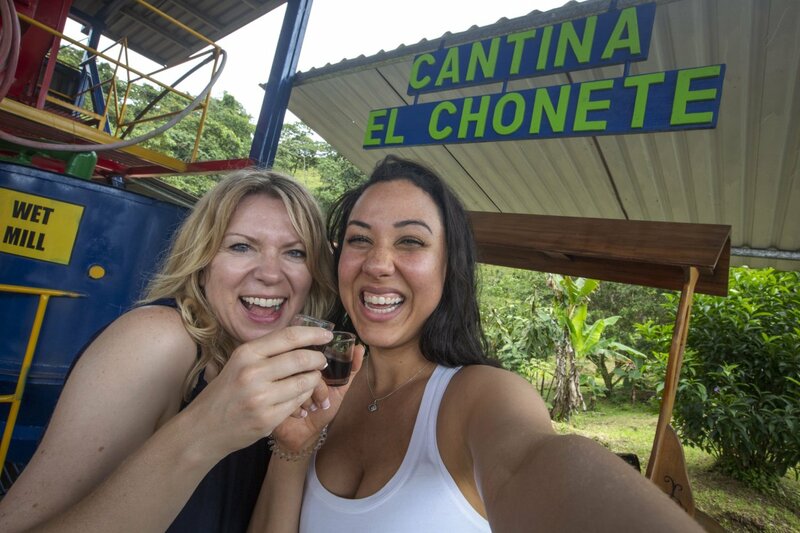 Take a coffee break on this unforgettable trip to the Mi Cafecito Community Coffee Tour - you'll even get to sample a fresh and soothing cup of java. 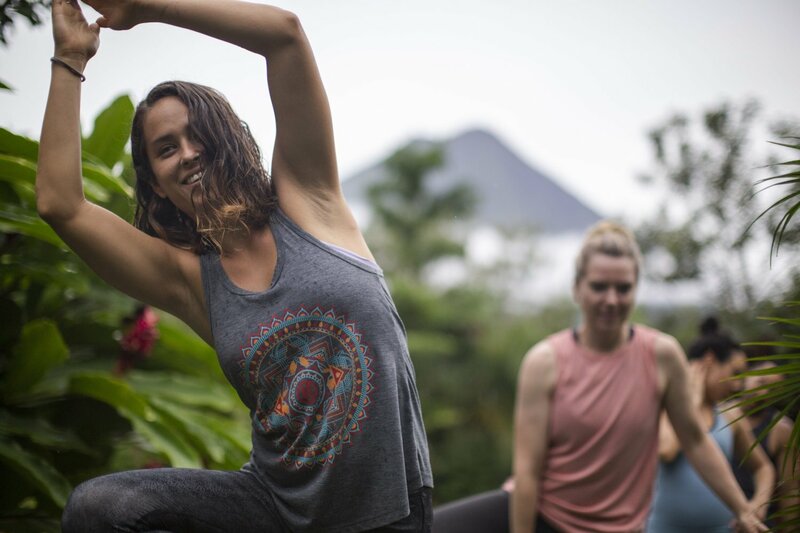 Day 3: La Fortuna Destress and find your inner strength, balance and flexibility at Lake Arenal - the largest lake in Costa Rica - with a stimulating paddle board (SUP) yoga class. 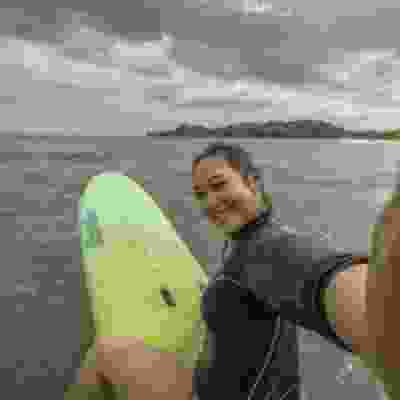 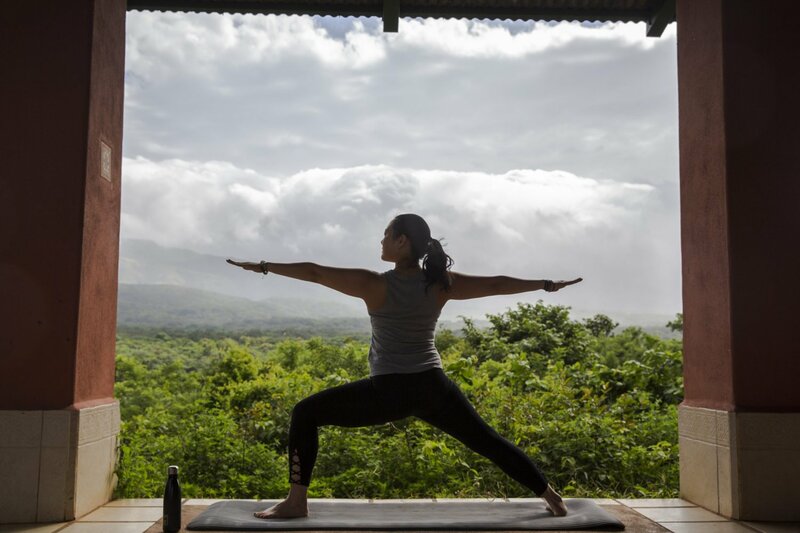 Destress and find your inner strength, balance and flexibility at Lake Arenal - the largest lake in Costa Rica - with a stimulating paddle board (SUP) yoga class. 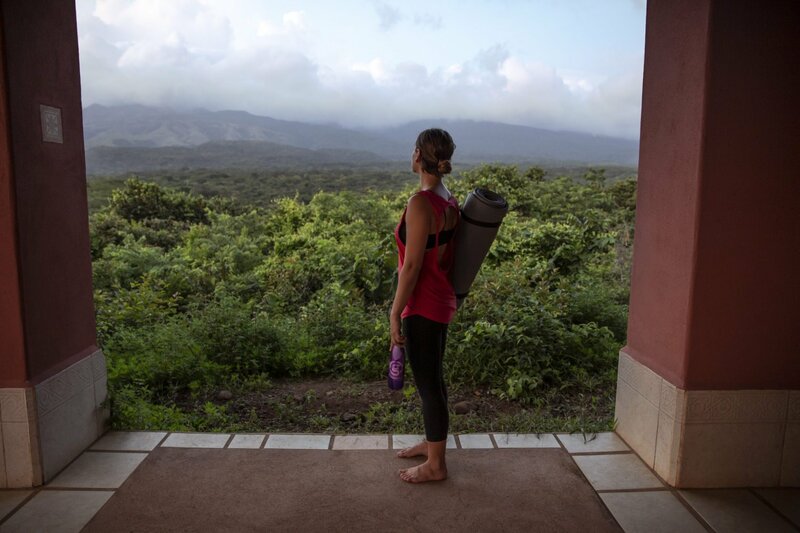 Day 4: Rincón de la Vieja Volcano National Park Head to the spectacular Rincón de la Vieja Volcano National Park and join your group for an afternoon of mindful yoga and relaxation - all within walking distance to your stunning eco-lodge. 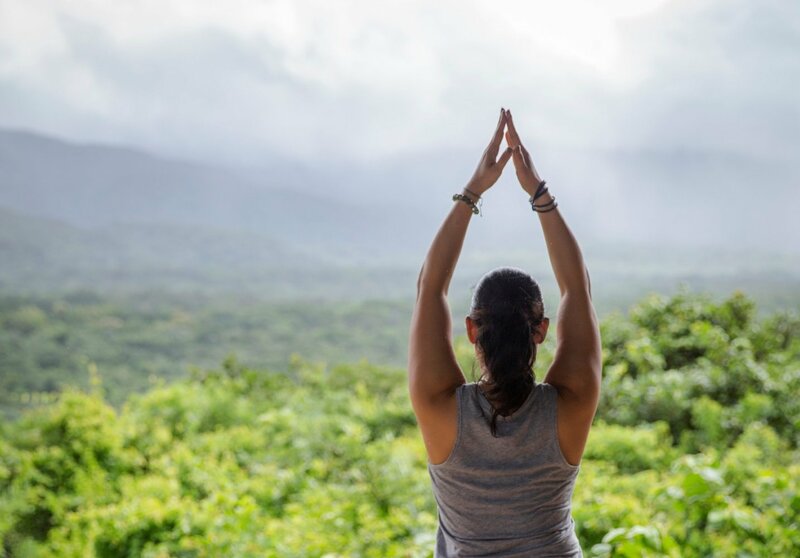 Head to the spectacular Rincón de la Vieja Volcano National Park and join your group for an afternoon of mindful yoga and relaxation - all within walking distance to your stunning eco-lodge. 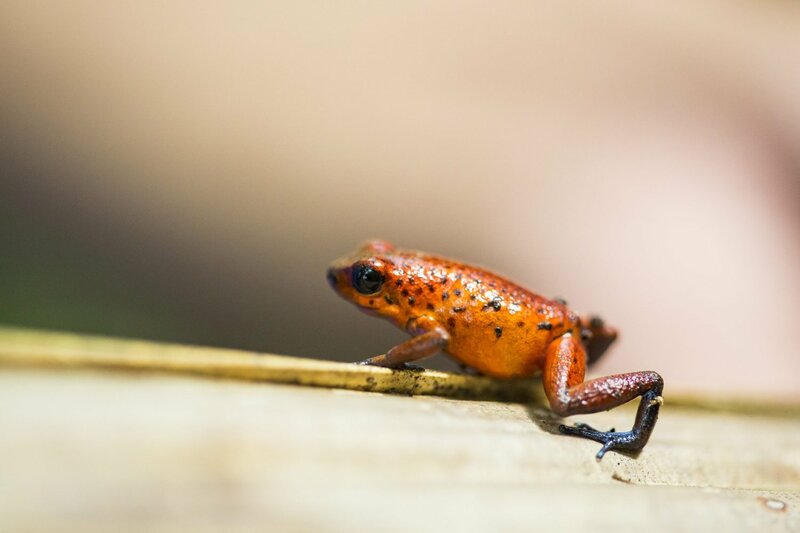 Day 5: Rincón de la Vieja Volcano National Park Wake up refreshed and ease yourself into the day by taking an exhilarating hike before immersing yourself into an exfoliating volcanic mud pool. 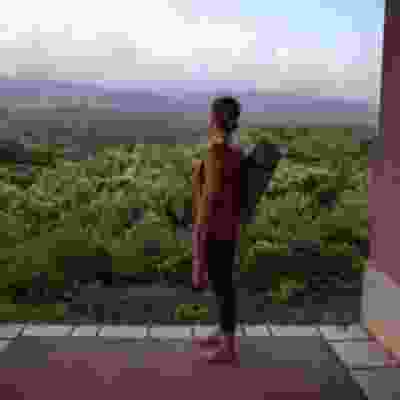 Wake up refreshed and ease yourself into the day by taking an exhilarating hike before immersing yourself into an exfoliating volcanic mud pool. 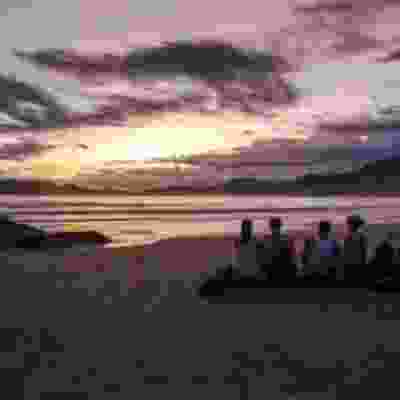 Day 6: Playa Carillo Make your way to Playa Carillo - a serene utopia on the Pacific Coast. 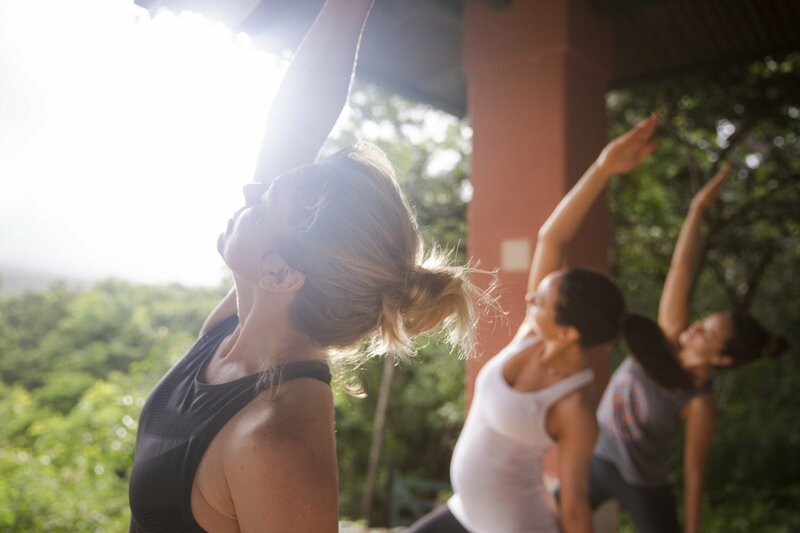 Then take a yoga class at sunset whilst gazing and admiring the crescent bay. 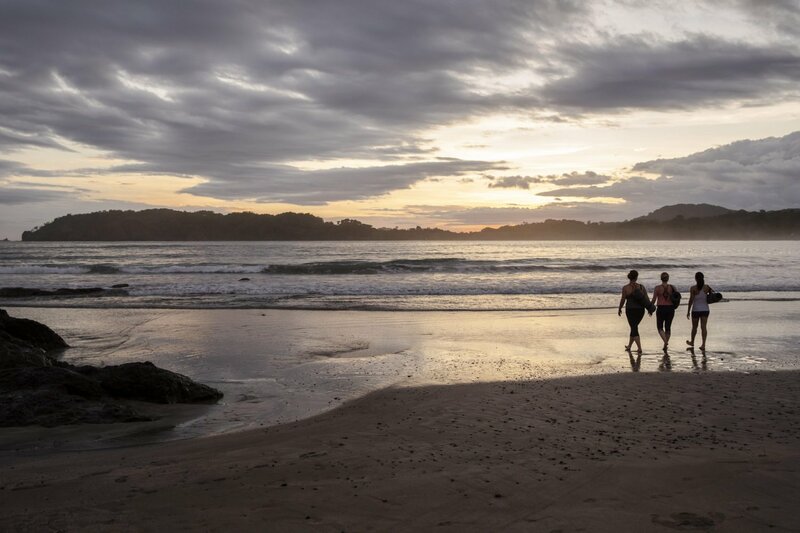 Make your way to Playa Carillo - a serene utopia on the Pacific Coast. 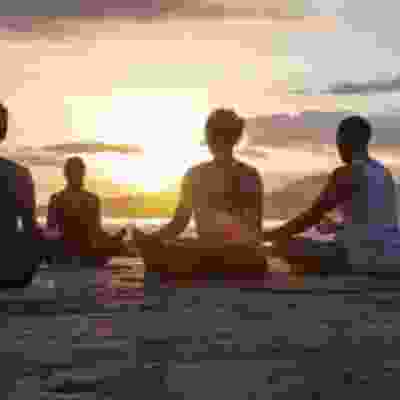 Then take a yoga class at sunset whilst gazing and admiring the crescent bay. 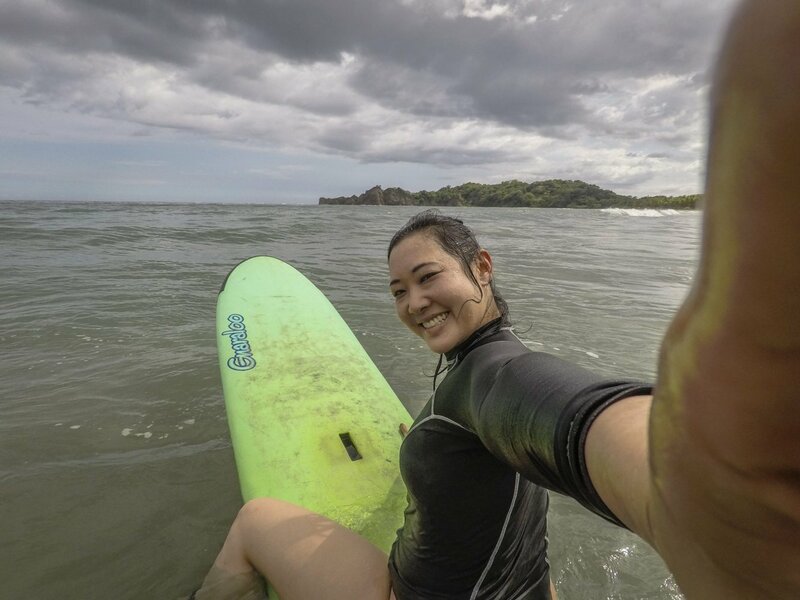 Day 7: Playa Carillo Begin the day with a yoga class on glorious white sands, then jump on your board and learn to hang 10 as you hit the waves for an enjoyable surf lesson. 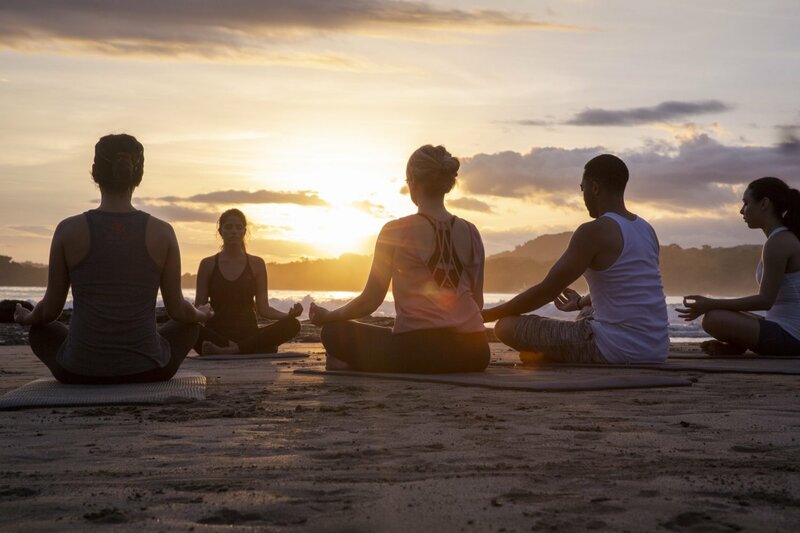 Begin the day with a yoga class on glorious white sands, then jump on your board and learn to hang 10 as you hit the waves for an enjoyable surf lesson. 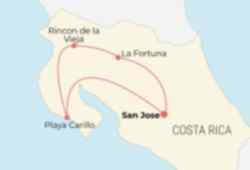 Day 8: San José Leave paradise behind on your final day as you make your way back to the hustle and bustle of San Jose to depart Costa Rica. 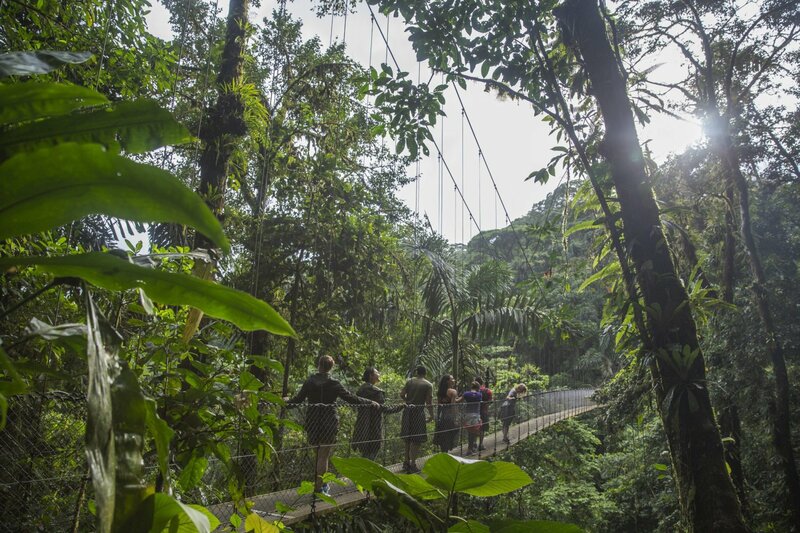 Leave paradise behind on your final day as you make your way back to the hustle and bustle of San Jose to depart Costa Rica. 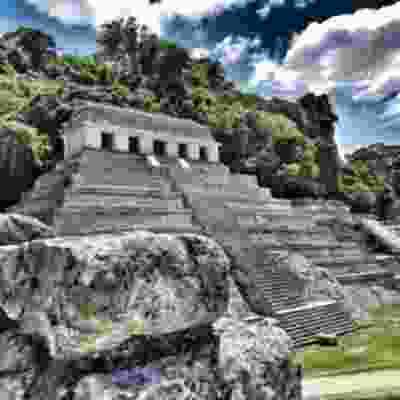 If you would prefer your own private room throughout your trip, please contact us for prices. 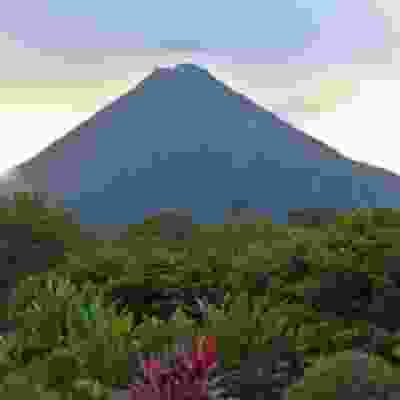 You should arrive into Juan Santamaría International Airport in San Jose, Costa Rica at any time on Day 1. 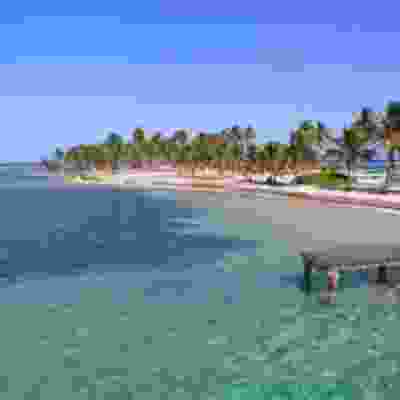 An airport pick up is included. 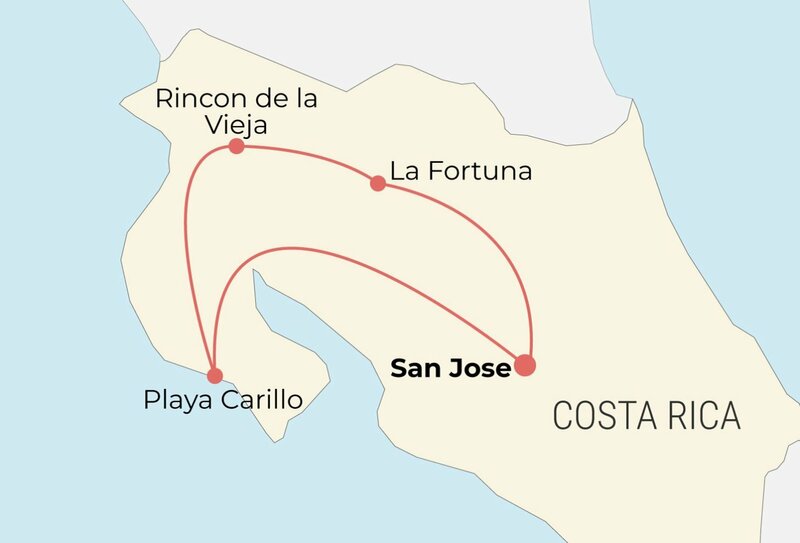 Your trip ends in San Jose in the afternoon of day 8. Your return flight must depart after 4pm.